getting the new book.... 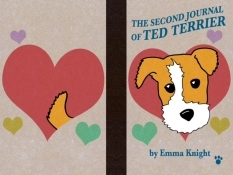 The Second Journal of Ted Terrier by Emma Knight...ready for publication. Now it's ready to buy from Amazon, either as a book or in Kindle format! Yippee! As with his first journal Ted shares his thoughts on the sometimes puzzling world around him. His much loved family, and the wider world. He's a very empathic little dog. Sometimes he finds his human family hard to understand, but he does try. His philosophy is simple, why do humans make things so difficult? He makes you laugh out loud one minute and ponder the next. A gentle, thoughtful little terrier. 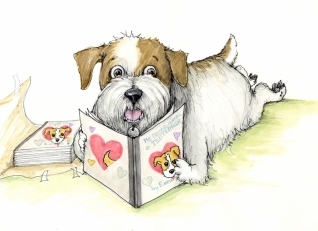 You can follow Ted on Facebook, and he also has a blogspot too, with lots of friends. 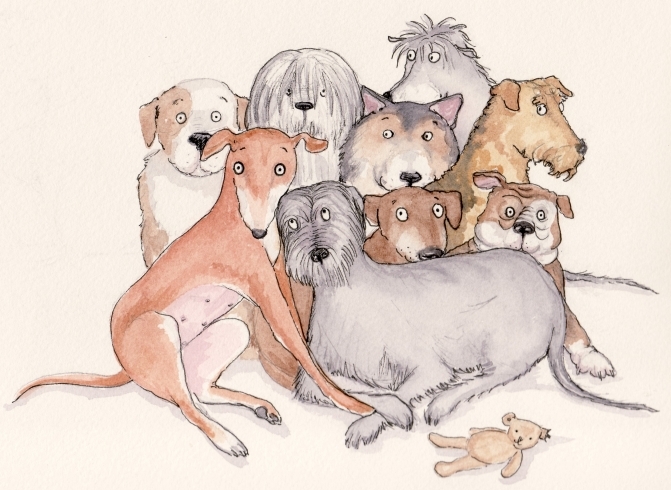 Hot Off the Press....Paws in the Cotswolds has finally hit the bookshops! The latest book in the series by Helen Peacocke, and her border collie, Pythius. Together they visit pubs around the beautiful Cotswolds. Pythius gives his views on the walks they take before or after a welcome refreshment break. Pythius also adds his impressions of the welcome he gets as a canine visitor. He is also the only canine member of CAMRA, so he knows a thing or two about pubs...and knows what he likes...and what he doesn't. Together they explore the beauty of the countryside, delightful walks in the footsteps of notable people from Jane Austin to J.R.R. Tolkien, refreshed in style at local hostelries en route. Sadly a week before the book was published dear Pythius, after a vain struggle to gain his previous strength died. He will be sadly missed. He made many friends on his travels with Helen. He was a very wise, and loyal companion. The latest book will be a fitting tribute to Pythius, and the joy he and Helen shared.